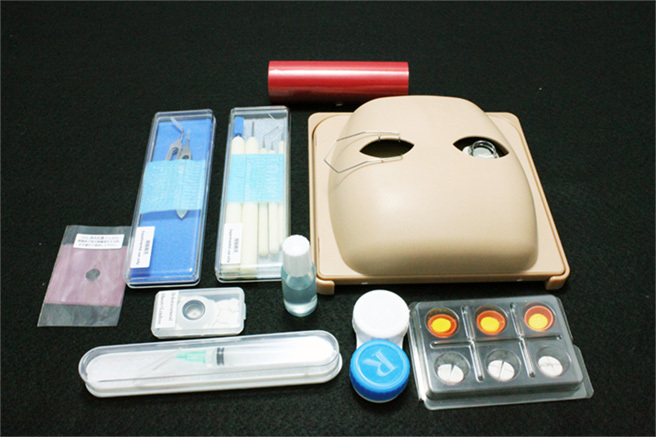 Kitaro® DryLab | Frontier Vision Co., Ltd.
“KITARO DryLab” is a tool to teach/learn the important steps of phaco surgery such as CCC, nuclear dividing, IOL insertion, wound construction and suture at the desk at home or hospital without using microscope and phaco machine. Trainers can teach the surgical techniques to novice surgeons step by step at the desk at medical office. Novice surgeons can practice them repeatedly at the desk at home, and be ahead of rivals. Conventional practices in wet lab are effective, but actually cannot be done so many times. 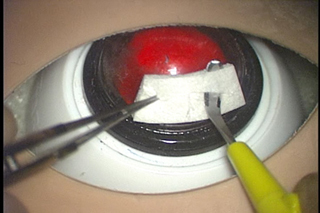 It is not easy and usually takes a long time to master CCC and instrument manipulations using the incision as the pivot. Repeated practices are necessary to master those techniques. 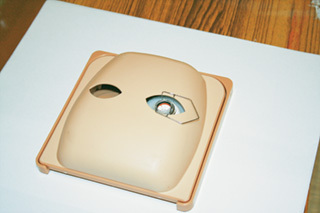 “KITARO DryLab” enables repeaterd teaching and practicing of those necessary techniques anytime, and anywhere. The 5-μm polyester film having a special 2-layer structure and the artificial cortex made of resin clay can reproduce CCC just like on the human eye. You can learn the basic instrumentation and nuclear segmentation techniques with 3 artificial nuclei for Divide & Conquer, Stop & Chop, and Phaco Chop techniques by dividing and rotating them using mock instruments. 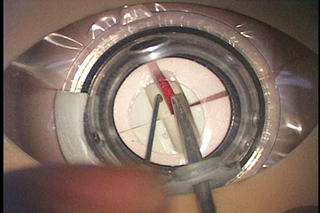 The artificial nucleus made of special resin clay is most suitable for practicing the Prechop and Phaco Chop techniques, allowing instrument insertion and nuclear dividing. You can repeatedly use the nucleus after kneading and returning it to the original shape with your fingers. 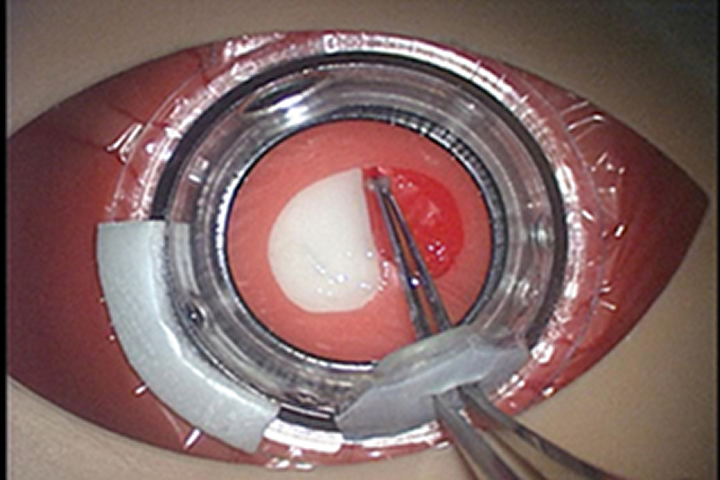 You can practice self-sealing wound construction and suture with the special resin sheet producing a similar feeling of cutting the human sclerocornea. 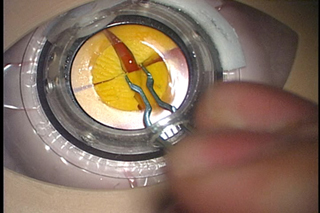 Eye movements and eyelid resistance during instrumentation provide realistic sensation of actual surgery.